KIGALI, 6 September 2018 – A new report highlights the role agricultural trade plays in Africa and draws out important policy measures that African governments will need to take to benefit fully from intra-African trade as well as global trade in agricultural products. 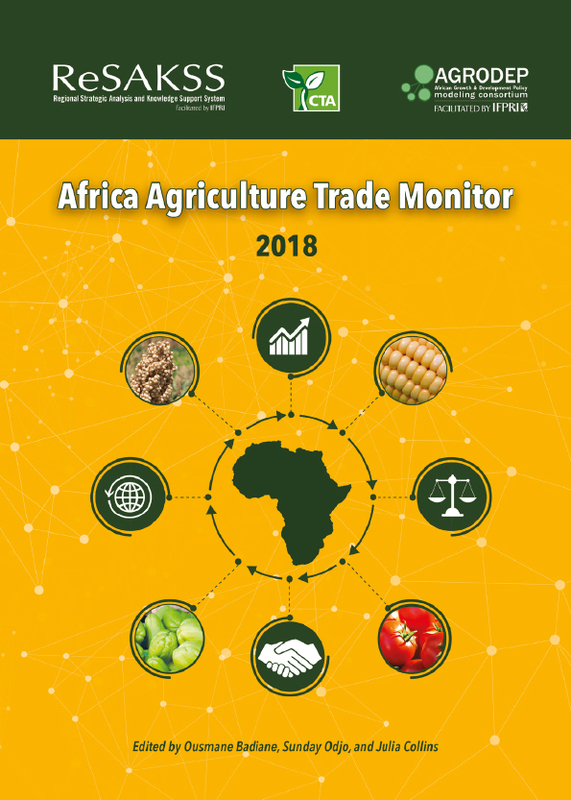 Key findings of the Africa Agriculture Trade Monitor 2018 include that, despite recent growth in agricultural trade deficits, there are promising signs of export diversification, both in commodities traded and trade partners, as well as increasing intra-African trade in agricultural commodities. Intra-regional trade in Africa is increasing rapidly the report notes, by 12% a year between 1998 and 2013, but is still low compared with other regions such as Europe and Asia. The report identifies the need for governments to act to raise productivity along the value chain, reduce trade costs, and eliminate barriers to trade in order to boost both global and intra-regional trade. Actions recommended include allocating greater public expenditures to agriculture and to agricultural research and development in particular, harmonising regulations and decreasing barriers to intra-regional trade, and providing an enabling environment for value chain development by strengthening market institutions and investing in infrastructure. At the global level, efforts are needed to meet strict food safety and traceability requirements. “The Africa Agriculture Trade Monitor 2018 highlights how increasing the volumes of intra-African trade in agricultural products has the potential to boost industrialization and enhance competitiveness. Enabling policies that enhance intra-regional trade such as the Continental Free Trade Area (CFTA) will be crucial to open up the continent to new investors and better opportunities for its entrepreneurs,” said Michael Hailu, CTA Director. The report notes the European Union as the continent’s dominant trading partner, accounting for 40% of exports and 30% of imports, but Asia is catching up rapidly. There are promising signs for export performance from many countries, with African exporters increasing their competitiveness in global markets for three-quarters of commodities studied. Moreover, many new export commodities, such as wool, soybeans, soybean oil, live trees and plants, and cocoa preparations, showed strong gains in competitiveness, suggesting the potential for diversifying exports by expanding trade in these areas. The study highlights the benefits of intra-regional trade to stability and resilience of markets and food supplies. For example, the report found that in nearly all West African countries national production was more volatile than regional production during the 1980–2010 period, implying that intra-regional trade would be able to reduce the volatility of food supplies at the regional level. "Increasing the ability of African countries to participate in regional and global trade helps to improve well-being of consumers, raise incomes of farmers, build resilience of food markets, and ultimately it also helps to boost economic growth and reduce poverty," said Ousmane Badiane, IFPRI Africa Director. Key factors limiting Africa’s trade in agricultural products include the poor quality of physical infrastructure, inefficient customs processes and high harassment costs, inconsistent regional standards and regulations, and non-tariff trade barriers including stringent food safety and traceability requirements in importing countries. Support to domestic agricultural producers in OECD countries also reduces Africa’s trade. African countries have limited control over trade policy in other countries, the study notes, but they should continue to take part in global efforts to lower trade barriers. In addition, much can be accomplished by addressing the domestic constraints to expanding trade. Africa Agriculture Trade Monitor 2018 is the fruit of a collaborative endeavour between the International Food Policy Research Institute (IFPRI) and the Technical Centre for Agricultural and Rural Cooperation (CTA). It builds on the work of the Regional Strategic Analysis and Knowledge Support System (ReSAKSS) and the African Growth and Development Policy Modelling Consortium (AGRODEP) on trade, both facilitated by IFPRI as part of its work in support of the Comprehensive Africa Agriculture Development Programme. Established in 2006 under the Comprehensive Africa Agriculture Development Programme (CAADP), ReSAKSS supports efforts to promote evidence- and outcome-based policy planning and implementation. In particular, ReSAKSS provides data and related analytical and knowledge products to facilitate CAADP benchmarking, review, and mutual learning processes. The International Food Policy Research Institute (IFPRI) facilitates the work of ReSAKSS in partnership with the African Union Commission, the NEPAD Planning and Coordinating Agency (NPCA), leading regional economic communities, and Africa-based CGIAR centres. The African Growth and Development Policy Modeling Consortium (AGRODEP) aims to position African experts as leaders in the study of strategic development issues in Africa and the broader agricultural growth and policy debate. AGRODEP facilitates use of economic modeling tools, promotes access to data sources, provides training and research grants, and supports collaboration between African and international researchers. Kigali, Rwanda, 8 September 2018. Awards for the Pitch AgriHack 2018 were given today in front of African leaders: H.E. Paul Kagame, President, Republic of Rwanda; H.E. William Samoei Arap Ruto, Deputy President of Kenya; H.E. Nana Addo Dankwa Akufo-Addo, President, Republic of Ghana; H.E. Emmanuel Issoze-Ngondet, Prime Minister, Republic of Gabon. Wageningen, The Netherlands, 13 April 2018. CTA has launched ‘Pitch AgriHack 2018’ a competition to support young agricultural entrepreneurs (agripreneurs) build viable businesses and boost innovation for a more sustainable agricultural sector. Winning innovations will be awarded up to €15,000, as well as mentoring and networking opportunities.